Around the Table Book: The Posts with the Mosts -- Celebrating 400 Posts! 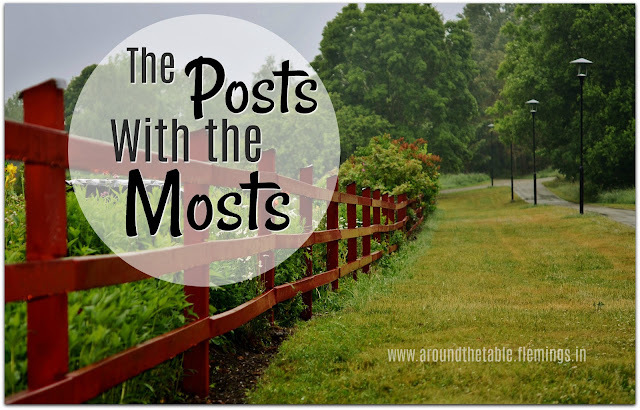 The Posts with the Mosts -- Celebrating 400 Posts! 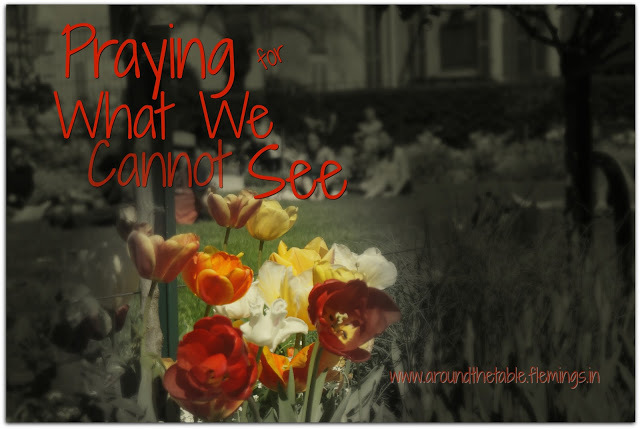 With this post, I have written 400 entries on this blog. I thought this would be a good time to look back at some of the posts with the most. With well over 35,000 views and pinned to more than 5000 Pinterest boards, this post is viral. 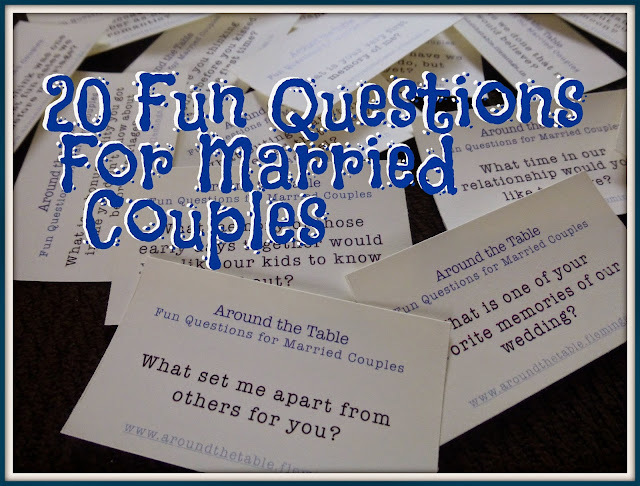 A couple of years ago I wrote 20 questions for my husband and I to talk to each other about on our anniversary celebration. We were in the car for 6 hours and we had plenty of time for conversation and many questions brought up more memories of our relationship and how we met and why we fell for each other. At the end of a laughter filled time, we were more in love than ever. If you have been married more than a few years, these questions can help you rekindle that spark you had at the beginning. Most Important — Do You Have a Burden? This category was hard for me to choose. Of course I think many of my posts are important, but when it comes down to it, what is more important than our relationship with God? That’s why I choose this post. 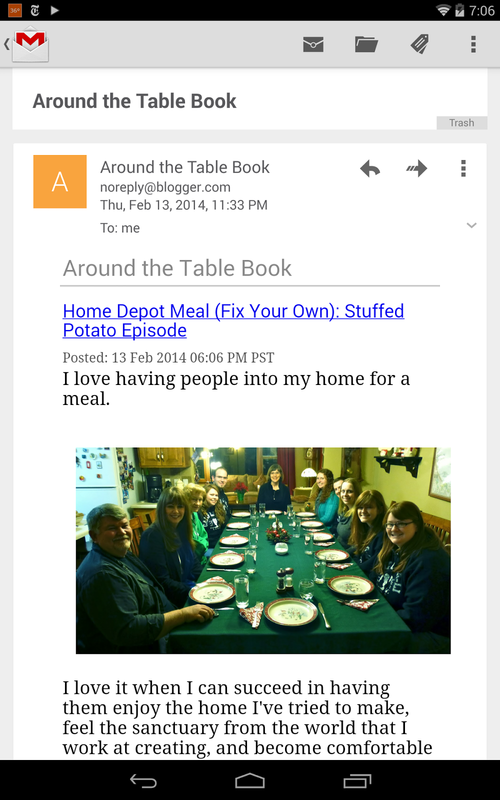 Why do I write this blog? The blog statement is "Inspiring Family to Connect at Mealtimes." There are so many things we can learn about around meals: cooking, manners, chores, conversation, hospitality, devotions, love...and probably others. Our family has always eaten meals sitting down at a table when we are together and even though we are empty nesters we have family around our table at least once a week, usually four generations! But when my two middle children married the same year, my oldest lived out of state, and my youngest went on a mission trip, I realized I hadn't gotten that "last supper" with everyone together to reminisce and maybe cry a little. But this post is most purposeful because I realized that 28 years of meals as a family is worth more than one "last time" together. I guess that though I major on families eating together, encouraging and defending the idea of some meals for just Mom and Dad touched a lot of people. Runner Up: Half Full? Half Empty? Who Cares All Dirty! When my husband’s brother died we held a memorial for him in our own home. It was short, but meaningful. Others have told me that it has helped their kids process the loss of a loved one who is far away. Most Fun — Which TV Mealtime Mom are You? While this may not be the "funniest", this is a fun quiz to do and figure out which of these four TV Mom's your style is closest to when it comes to mealtime. Take the quiz! This post more than 35 ideas for adding health and color to your meals--your side dishes! You can also search for "recipes" in the search bar upper right hand corner for the other recipes I have posted. 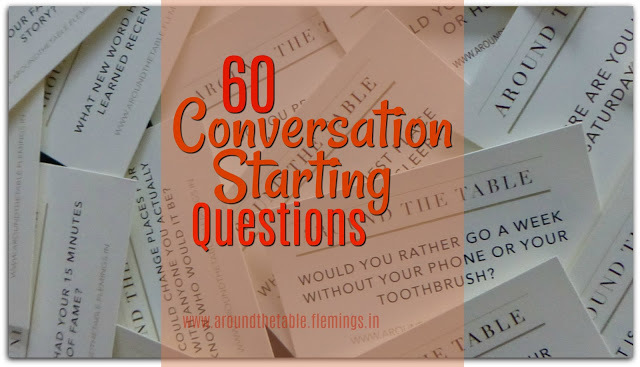 If you like conversation starting questions to keep things on a positive note, to get past small talk, to get to know people (like your kids) better, or just for fun, this post has lots of them! Most Decorative What's on My Table? 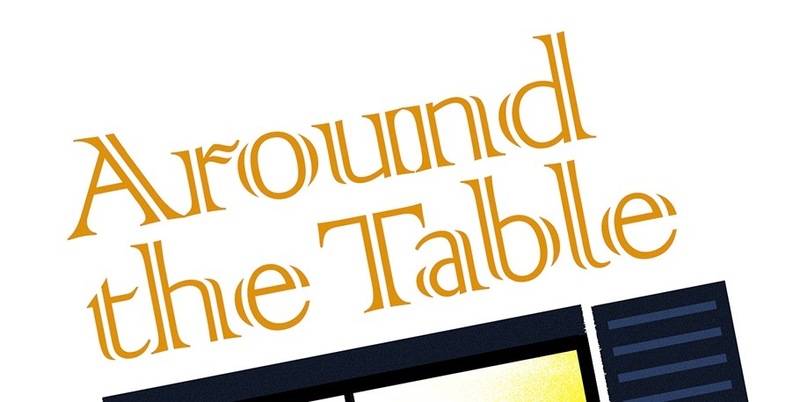 If you search in the upper left hand corner "What's on My Table?" you will find several posts with this title. I like to have my table looking nice and I like it to be something out of the ordinary, so I try. Do you have a "most favorite" post of mine that you've read? If so, tell me which one it is. I'd like to know! So many great posts! Happy 400!